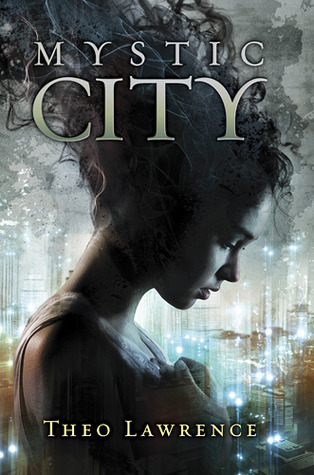 Mystic city is a brilliantly engaging read. Think Romeo and Juliet meets X-Men in a dystopian future and you're part way there. I found myself completely drawn into the world from the very first page. The story follows Aria, daughter of a mafia-esque character who rules over New York with his former rival who is the father of Aria's beloved fiancé Thomas. The only problem is Aria doesn't remember who Thomas is or much of the recent events going on round her. What I enjoyed particularly about this book is that you find yourself very much in the same position as Aria from page one and start to find out more about her world and the people around her at the same time she does. The world the book is set in is divided between ordinary people and those people who are mystics as well as being divided by social class. The rich live high up in luxury while the poor and most of the mystics live lower down in a flooded city in basic and often squalid accommodation. Mystics are seen as a threat to society so have been forced to have their powers drained by the state and are very much an oppressed underclass. Things are trying to change as the mystics have a representative in Violet Brooks who is running for office up against the odds who wants to get more freedom for mystics and end the cruel practice of draining mystics of their power forcibly. I thought the ideas behind the book were clever and I enjoyed the twists and turns thrown in although I must admit I did guess a few in advance which is unlike me. I loved some of the characters you meet along the way but special mention has the go to the swoon worthy and totally gorgeous Hunter who I loved from the moment he first sauntered onto the page. I won't tell you much more than that otherwise I'd spoil the book for you and I wouldn't want to do that as it is a cracking read. All in all a book I really enjoyed and definitely worth seeking out a copy when you can.